The thesis flourished as mom encountered such Canadian poets and creators as A.M. Klein, P.K. Page and Earle Birney. With his Cambridge ties, McLuhan also helped by introducing my mom to British critics like Queenie Leavis. “When you get into the world of the ’49ers,’ you’ve left behind the pastoral world of earlier Canadian poetry, not entirely, but it’s going,” mom says. >>> Read the full article here. 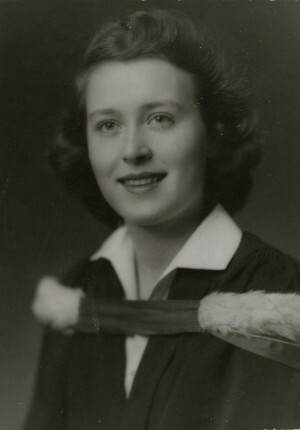 Two of Colleen’s poems from from her student days are “The Clock Tower” (1947) and “Aristide Bruant au Honey Dew” (1948), and also the short stories “Wild Turkeys” (1946) and “The City Underground” (1949).